Jeremy Thake is a senior product manager for Office developers. In March we introduced a new set of Office 365 APIs, in preview, that expose services across Office 365 in a simple, RESTful way. We’re evolving our extensibility model for Office 365 so you no longer develop against SharePoint and Exchange-specific APIs. Instead, you can now develop against a consolidated Office 365 API set that spans SharePoint, Exchange, and Azure Active Directory. These Discovery Service APIs allow you to determine the location of related Office 365 services, for particular users. When a user interacts with the business application, they are prompted with an Office 365 common consent form asking them to agree that it can access the services it requires. This empowers you as a developer to incorporate Office 365 services into your new and existing business applications. We envision you incorporating our services alongside other SaaS-based services and internal Enterprise application platforms. Let’s look at an example of how you can integrate OneDrive for Business and other Office 365 services in your apps to simplify tasks for your users. Office 365’s competitive edge is that it is not just a file sharing service with an API. It provides a rich set of services that allow you to build comprehensive business applications directly into the productivity tools your users live in all day long, like the Office apps on the desktop and Office Online. 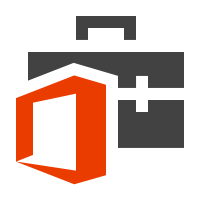 Download the Office 365 API Tools Preview extension. Take a look at the tools announcement. Be sure to watch Rob Howard’s presentation from //build/ where he demonstrates the Office 365 APIs in action in a Windows 8 app. For more information, check out the Office 365 API Preview documentation available in the Office Dev Center. You’ll find two samples that show these APIs in action targeting the Windows 8 app and ASP.NET MVC application platforms. We’re continually looking for feedback from you on all aspects of the Office Developer Platform. Please take the time to submit your suggestions and campaign in the community to get the votes up on UserVoice. If you have questions about these APIs, please feel free to ask them on StackOverflow using the [ms-office] and [preview] tags. 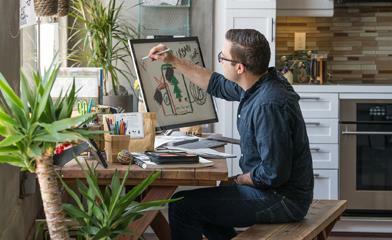 We’re excited to see what business solutions you build with these new enhancements! To find out more about the Office Developer Platform, please visit dev.office.com.